After spending several weeks wandering around the Wild West, I’ve come to the conclusion that most people come to see the Grand Canyon and some people ONLY see the Grand Canyon. While it is iconic, grand and spectacular in its own right, it is actually not my favorite park. Nor is it the only place that should garner your attention. To be honest, out of all the National Parks I visited out west, Canyonlands was the one I knew the least about and was therefore the least excited about. We (my husband and I) arrived in the park just after 5pm and to our surprise, the park was almost completely empty! 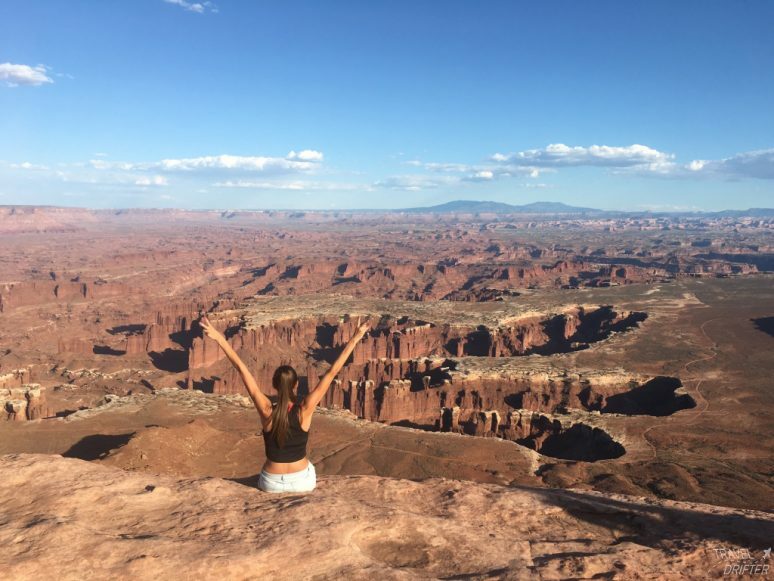 I really didn’t expect to have a jaw-dropping moment, but when I stepped up to the Shafer Canyon Overlook, I was so caught off guard by how vast it was! 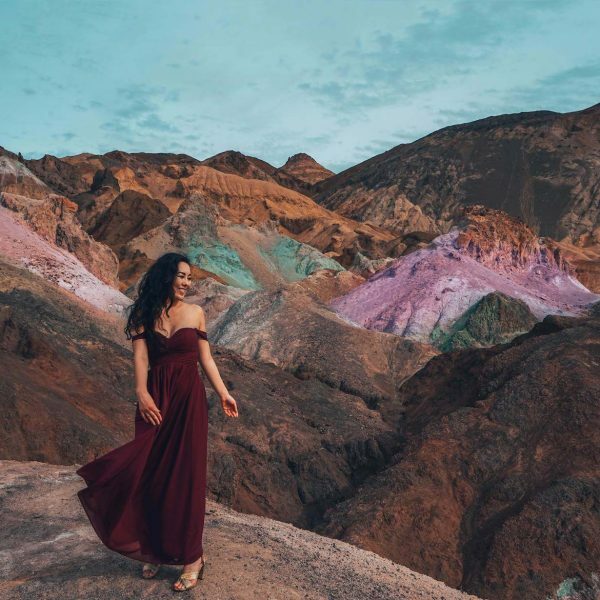 It also has a large, circular rock formation you can walk out on that extends into the canyon and offers gorgeous sweeping views of the formations and the tiny, winding, dirt road (for those brave enough to drive on it!). 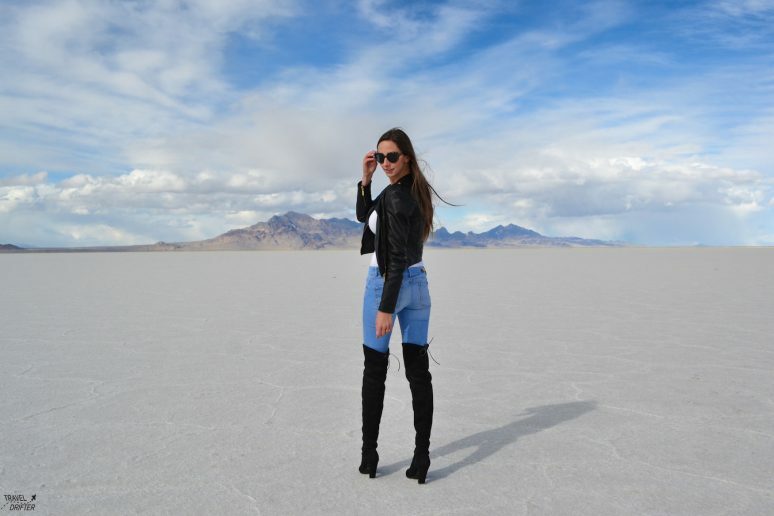 Just west of the Great Salt Lake, is a unique area called the Bonneville Salt Flats. The landscape could be easily mistaken for snow, as it is an entirely white, salty surface that extends over a flat area of 30,000 acres. A fun fact for excessive salt users: the crusty surface is made up of about 90% common table salt! Visiting tip: If you are driving west, stop at the rest stop!! This is the best spot for photos and there are not many places to take a U-turn, so if you have to turn around, you might be adding on quite a bit of mileage to do so. If you follow the map on your phone, it will take you past the rest stop to a road that leads to the water logged part of the sand flats, which is not as photogenic. 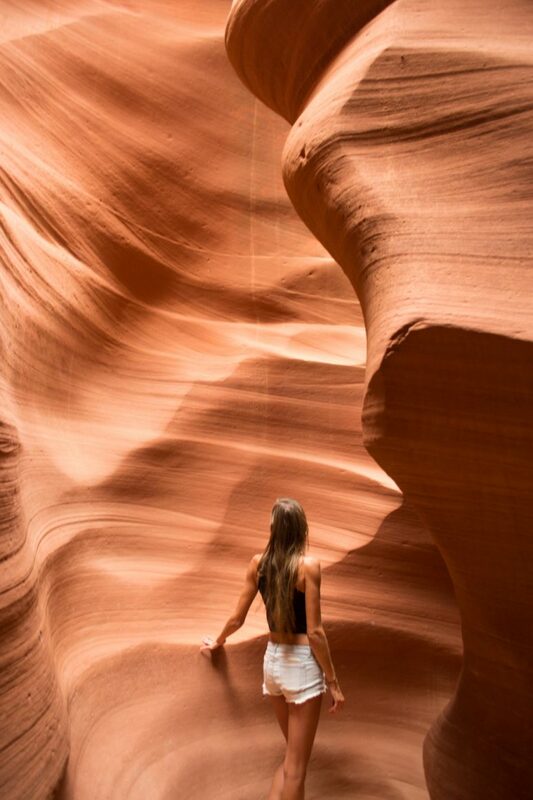 Antelope Canyon is probably the most famous slot canyon and it is easy to see why. The canyon walls are steep and swirling, with beautiful colors when the light hits just right. 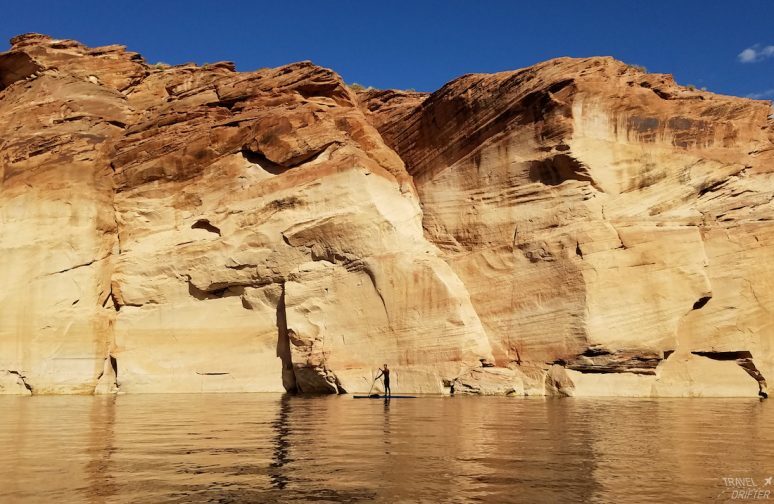 You can do an upper or lower canyon tour (I used Ken’s Tours), but if you want to be a little more adventurous, try hiking up the backside from Lake Powell. 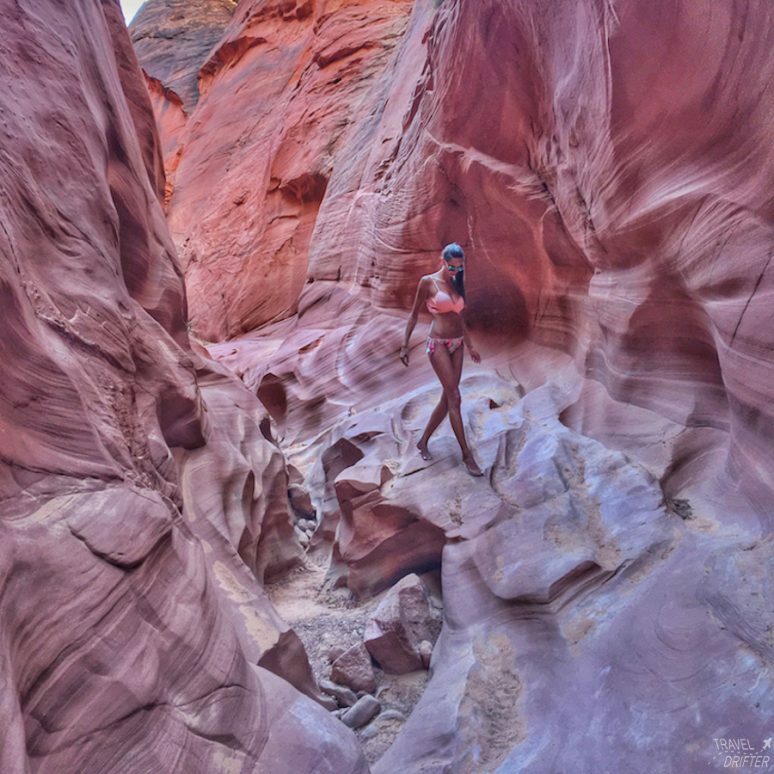 The canyon walls aren’t as grand here, but you still get the swirling walls and most likely, the place to yourself! 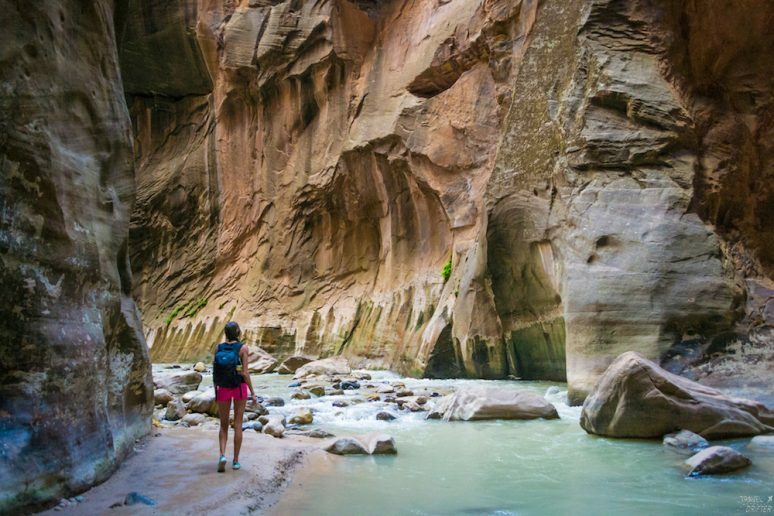 When you get worn out of the typical hikes, a nice reprieve is The Narrows: a refreshing hike through a gorge in Zion National Park. Instead of dangling off the cliffs at Angel’s Landing, this hike is a somewhat leisurely walk through the Virgin River. That’s right, you actually walk IN the water with steep canyon walls looming over you and potentially ice cold water coming up to your waist at times! 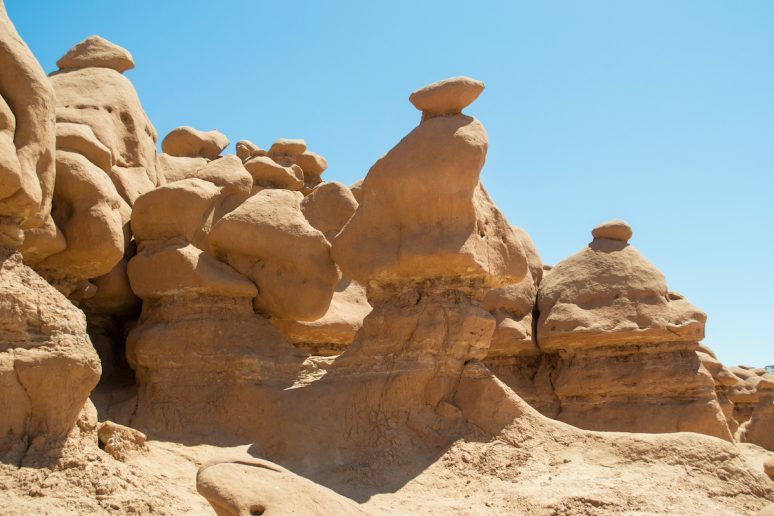 If you want to visit a place that looks out of this world, head to Goblin Valley, a state park where sandstone has eroded away to form shapes that resemble goblins. The strange formations and otherworldly appearance are probably the reason why the movie Galaxy Quest was filmed here. Another fun thing about this park is that you are allowed to climb on the rocks, which makes exploring that much more fun! Badwater Basin in Death Valley might be the coolest landscape I have ever seen. Like Goblin Valley, this place literally feels like you are on another planet. The unique salt flats are formed when the salt crystals expand and push through the mud cracks and therefore, are ever changing. 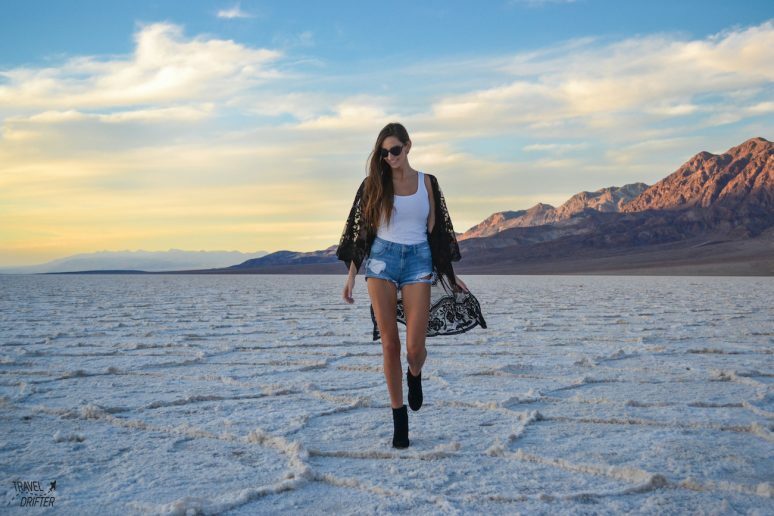 Badwater Basin also happens to be the lowest point in North America sitting at 282ft below sea level. Photography Tip: Go at sunset but also wait until the sun has disappeared behind the mountains to get a softer glow across the salt flats. Another favorite overlook in Canyonlands is the Grandview Point, a canyon that looks like a ginormous T-rex stomped through the earth. The fascinating thing about this overlook is how open it is and how you can hardly see the other side of the canyon. It’s almost like a mind game. How many layers can you see? If I’m on the ‘ground floor’, how deep does it go? Do people go down there? Is that a road? So many questions it feels like Inception. 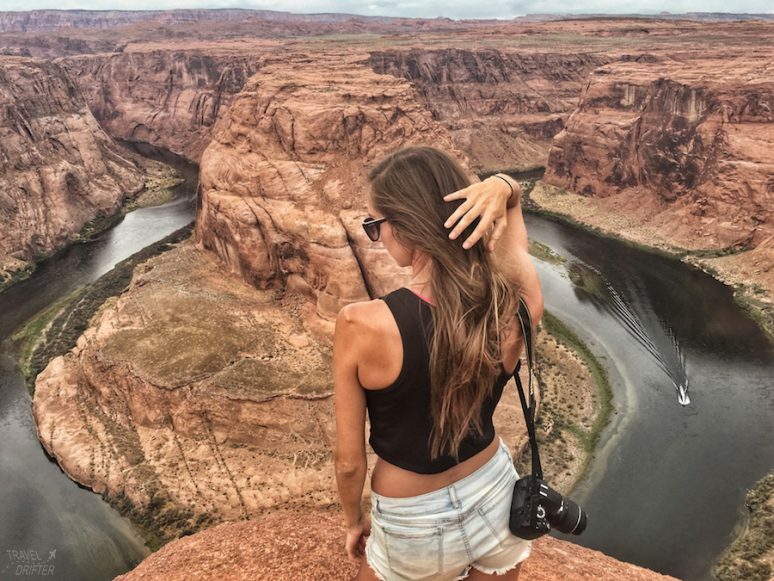 Horseshoe Bend is a can’t-miss spot in Arizona where the Colorado River has carved an incredible curve that forms this horseshoe-shaped canyon. 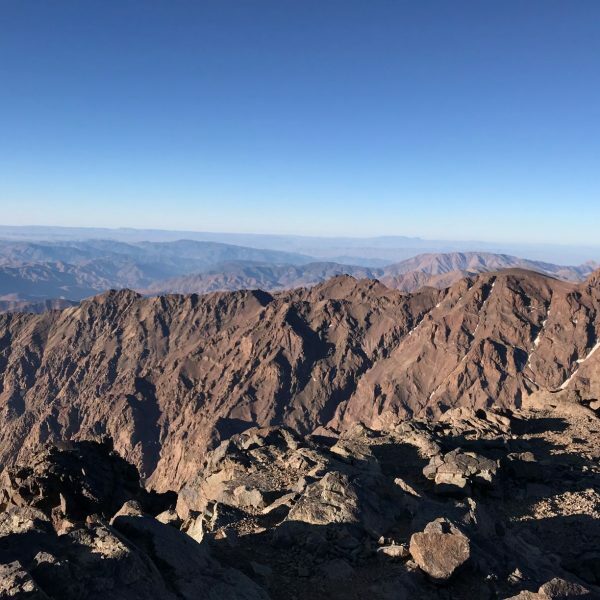 The view is stunning and it is only a short walk from the parking lot, making it easily accessible for lots of people. There’s no entrance fee or hassle to visit here, which makes it easy to walk right up to the edge…if you dare. I can’t really grasp why someone would compare this landscape to a golf course but in the 30’s, a guidebook stated that this place was ‘only something the devil could play golf on’, and the name stuck! This phenomenon is made up of jagged salt formations that extend as far as the eye can see. 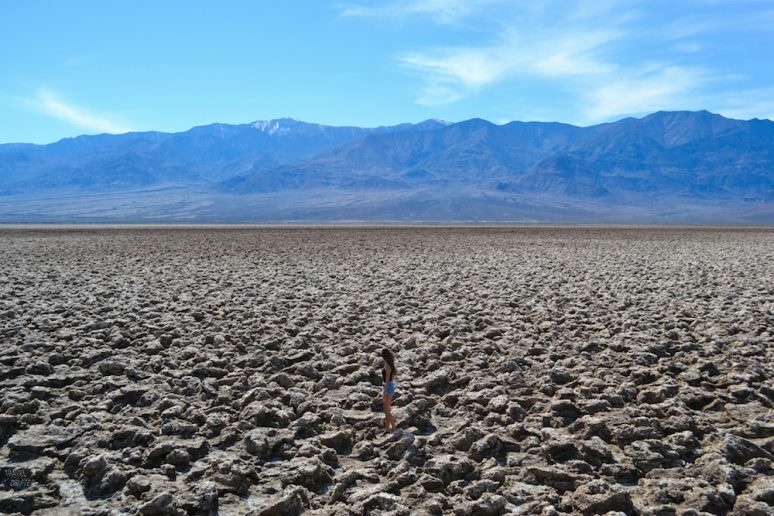 Also located in Death Valley, The Devil’s Golf Course is a few feet higher in elevation than Badwater Basin. After visiting the nearby National Parks, a stop at Lake Powell is a must. Here you can relax, swim, hike, boat, you name it. The lake has winding tributaries and towering canyon walls that make it unlike any other lake you have seen. You can camp on the beach or paddleboard to Antelope Island for a more secluded experience. And get on the lake early for calmer waters and peaceful paddling. 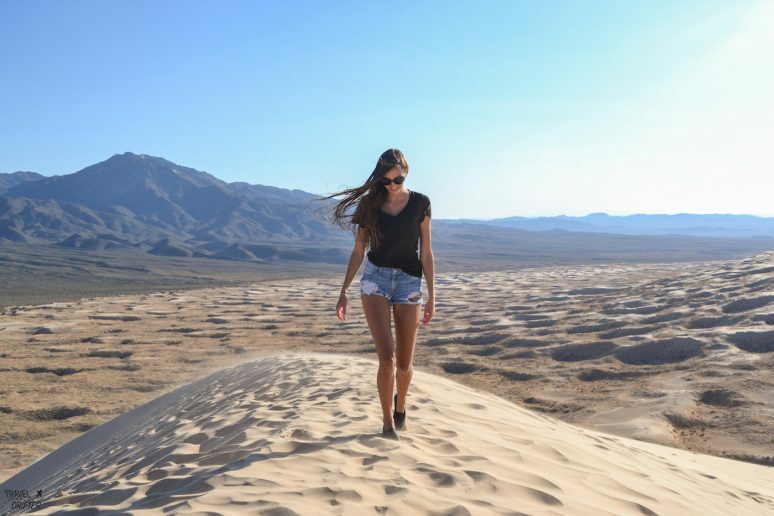 There are actually a lot more sand dunes in the United States than I realized, but the ones that stood out were the Kelso Sand Dunes in the Mohave Desert. Why? Because at some points, the dunes can reach up to 650 ft high! The Kelso Dunes also have a type of sand grass that grows on the side of the dunes and ‘singing sand’, a low rumbling sound that can be heard if you slide down the sand. If you can spare waking up early one morning, I would highly recommend doing so in order to see the Mesa Arch at sunrise. 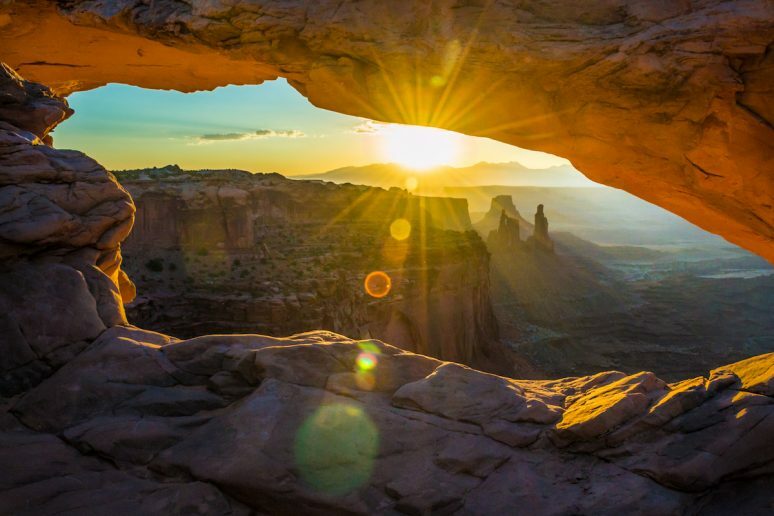 Once the sun comes up, the light casts an orange glow underneath the arch and it’s a beautiful photo-op. The problem is that the secret is out and most people cram right up to the arch blocking any decent view and any shot of the arch in its entirety. I was a little panicky, thinking I was going to miss this shot, but if you wait a few minutes after the sun comes up, a few people start to filter out. I managed to get a pretty awesome shot while shooting between bodies and elbows! This list of favorites is only the beginning. 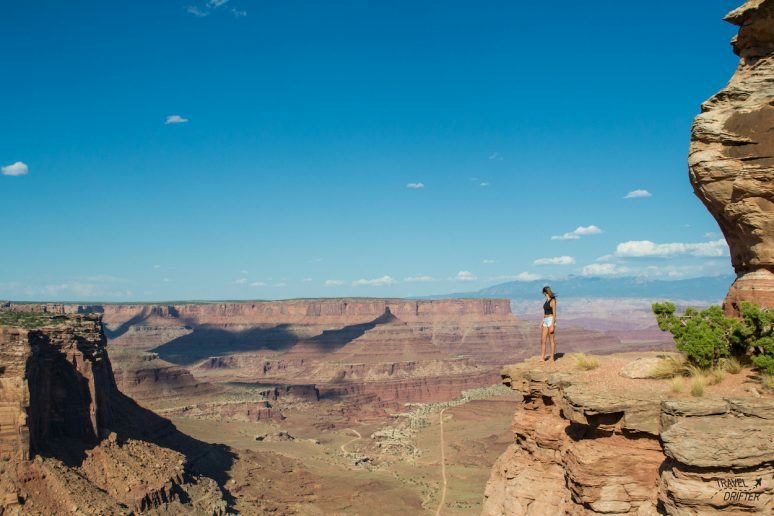 There are so many other incredible places and landscapes to see out west—just make sure you don’t only visit the Grand Canyon! Have you ever been to any American National Parks? 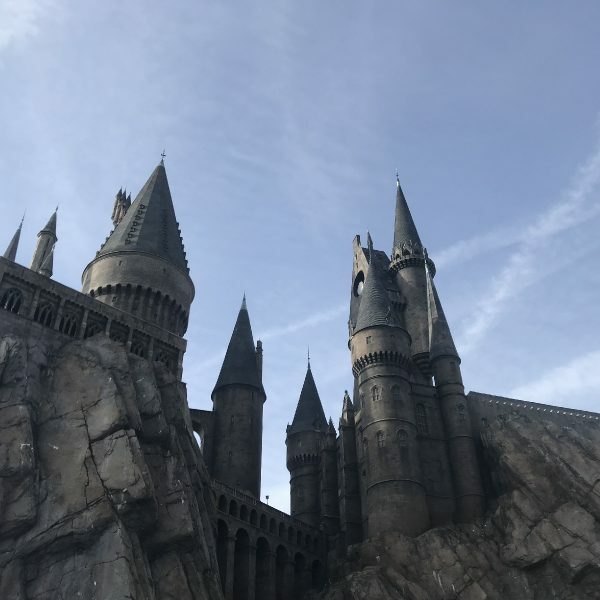 If you have any additional tips for our readers or questions please leave these in the comments below.